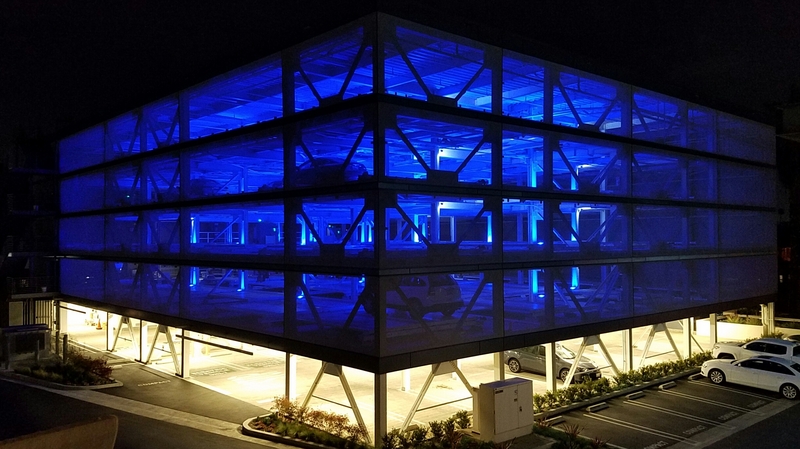 Whether it’s a new construction or a retro-fit project, tension facade systems can aesthetically transform commercial buildings while providing a wealth of additional benefits. Fabric facades, including PVC and PTFE-coated membranes, may wrap the building envelope partially or fully, covering the windows or not. Additionally, options for intersecting, 3D designs, and unique graphics make the design opportunities endless. The goal for a tension membrane facade system is to be able to run the length of the space while maintaining a taut, motionless facade. To achieve this, the system is professionally installed to maintain the integrity of the building and create a durable facade. There are two types tension fabric facade systems to consider when choosing the option that’s right for your property: those that require field assembly (customized) and those that are delivered with pre-tensioned panels (modular). Customized Field Assembly Facades – The installation of customized tension facade systems features the cutting of the extrusions to the necessary dimensions, drilling the necessary holes, and fastening the extrusions to the structure. Then, the installers roll-out, clip, and tension the fabric to the extrusions based upon the design of the project. Customized facades are ideal for creating truly unique designs. Some projects may leverage a combination of perimeter and joint profiles for ultimate stability of the membrane, while others may call for fusing the fabric mesh together and solely using perimeter joints. The latter option remains just as safe, but may result in some motion to the fabric on windy days. Modular Pre-Tensioned Panel Facades – On the other hand, pre-assembled and pre-tensioned fabrics manufactured on perimeter frames in the factory can reduce the cost of a project because it significantly reduces the labor necessary for the job site installation. With a modular project, the clip system is installed to the exterior of the building and the pre-tensioned panels are then hung and secured. 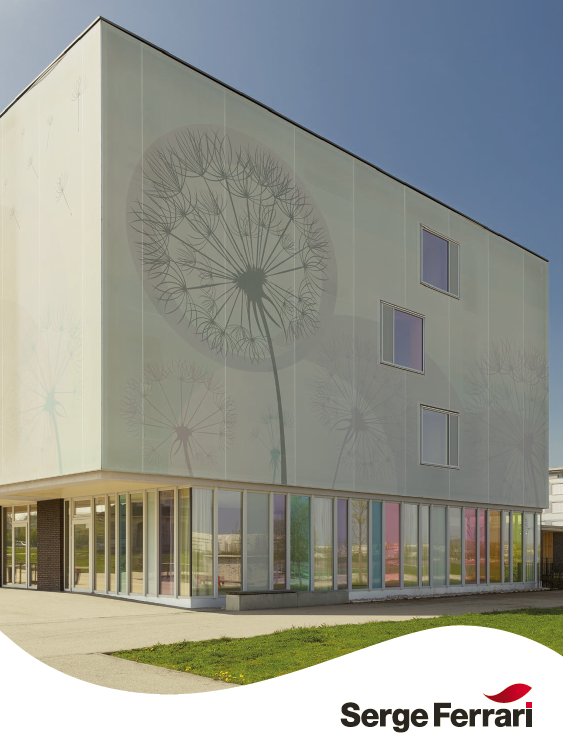 While modular facades may not have the same degree of versatility as customized facades, there are many options for interesting designs and functional benefits. For example, an ever-changing aesthetic can be achieved by including sliding accessories into the installation. The panel movement can be manual or remote control powered, depending on the needs of the building. Are Tension Facade Systems Right for Your Commercial Building? A tension facade is a type of tension structure that uses expanding technology to enable architects and designers the flexibility to offer alternate, affordable, and low-maintenance design solutions for a wide range of buildings. They can span great distances with less structural support, which makes them perfect for commercial buildings.